Ixia reported revenue of $124.1 million for Q4 2012, compared with $83.7 million reported for the 2011 fourth quarter and $109.6 million reported for the 2012 third quarter. The Q4 results include $30.3 million in revenue from the recent acquisitions of Anue Systems and BreakingPoint Systems. which closed in June and August 2012, respectively. Excluding Anue and BreakingPoint, fourth quarter revenue grew 12 percent to $93.8 million in 2012 from $83.7 million a year ago. Total revenue for the fiscal year 2012 was a record $411.7 million, an increase of 34 percent compared with $308.4 million reported for fiscal year 2011. Fiscal year 2012 includes $54.9 million in revenue attributable to Anue and BreakingPoint. For the full year, excluding Anue and BreakingPoint revenue in calendar 2012, revenue grew 16 percent to $356.8 million. France Telecom-Orange has activated a 400 Gbps wavelength over its live network between Paris and Lyon using equipment from Alcatel-Lucent. Alcatel-Lucent said its optical transmission platform could carry up to 44 wavelengths at 400G, representing a total capacity of up to 17.6 Terabits per second (Tbps). RENATER, the Public Interest Group that manages the telecommunications network for "Technology, Teaching and Research" institutions in France and that is a customer of Orange Business Services, will be the first to test the functionality of this technological development in a real-life situation. "As part of our innovation programme, we plan to test this optical fiber link in real conditions by using it to route traffic across one of our main backbone arteries between Paris and Lyon. This link transports the bulk of France's scientific data that passes through our network. This pilot phase also aims to test the latest switching equipment supplied by major OEMs on a network running at this capacity and will enable us the anticipate the architecture of RENATER's network in the coming years. A 400 Gbps network is an important step forward for the networks and research projects of tomorrow," stated Patrick Donath, Managing Director of RENATER. 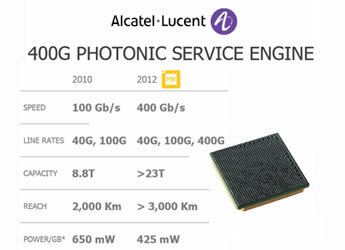 In March 2012, Alcatel-Lucent unveiled its Photonic Service Engine (PSE), a new chip for coherent optical networking that supports data rates of 400 Gbps. Alcatel-Lucent said its 400G PSE chip can be deployed in a broad range of network configurations - from metro to regional to ultra-long haul - and transmit wavelengths over existing or new photonic lines. 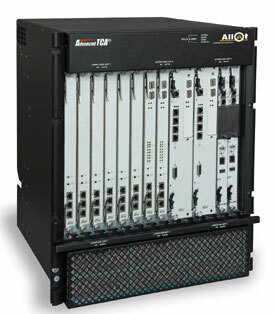 It is designed specifically for use in a family of line cards in the Alcatel-Lucent 1830 Photonic Service Switch (PSS). Specifically, the company is planning to use the PSE in a 100G muxponder card, a 100G transponder and a 100G backplane uplink. Alcatel-Lucent is also pushing ahead with a 400G line card for the 1830 Photonic Service Switch. New Relic, a start-up based in San Francisco, raised $80 million in mezzanine financing for its SaaS-based cloud application performance management. New Relic offers a web application performance tool that measures performance from the end user experience, through servers, and down to the line of application code. The company claims over 35,000 active accounts and millions of app instances monitored. The company also said it nearly tripled its revenue growth and more than doubled its customer base during 2012. The funding was led by Insight Venture Partners and included a major investment from accounts managed by T. Rowe Price Associates, Inc. Other participants included Dragoneer Investment Group, Passport Ventures and the company’s existing investors Allen & Company, Benchmark Capital, Trinity Ventures and Tenaya Capital. In November, New Relic announced at Amazon Web Services’ global customer conference in Las Vegas that it now has 12,000 customers building, deploying and monitoring apps in the cloud. 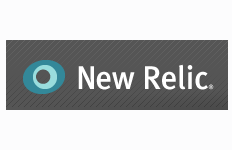 New Relic has been a long-time partner of AWS and charter member of the AWS Solution Providers Program. It provides 24x7 visibility into the performance of AWS web application environments, including real user monitoring, server resources and app code. Devicescape now has over 12 million Wi-Fi access points in its Curated Virtual Network (CVN) of hotspots. The Devicescape CVN provides mobile operators, device partners, and active subscribers with curated access to quickly growing list of amenity Wi-Fi hotspots. Devicescape, which is based in San Bruno, California, is now projecting that its CVN will grow from 12 million access points today to 100 million by the end of 2017. The company modeled the CVN’s future size by analyzing growth patterns in conjunction with a detailed multi-country study including, but not limited to, the deployed-device-to-CVN-access-point discovery ratio, open versus secured hotspot ratios and the pace and actual growth in the number of amenity Wi-Fi hotspots occurring worldwide. Devicescape's announced customers include Republic Wireless, U.S. Cellular, Cincinnati Bell, Bouygues Telecom and Flash Wireless, Intel and Microsoft. Powered by Devicescape CVN data, Microsoft already launched the Data Sense application for Windows Phone 8 devices being used exclusively by Verizon in the U.S.
“Moving into 2013, we expect to see significant international growth as operators around the globe strategize the best options to capitalize on mobile data demand and consider the ongoing challenge of retaining and growing a customer base that has ever increasing expectations for service availability, quality, and affordability,” said Fraser. Vasona Networks, a start-up based in Santa Clara, California with R&D in Tel Aviv, introduced its SmartAIR1000 edge application controller to address cellular bandwidth congestion. 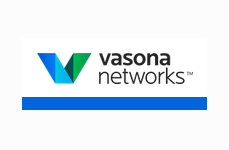 Vasona determines each cell's current capacity and characteristics of each of its concurrent sessions, whether streaming audio and video, web browsing, file downloads, or others. The platform, which sits between the RAN and the core network, then allocates bandwidth to each application in real time at the cell site level. Vasona said its SmartAIR1000 is compatible with 3G and 4G networks, including cdma2000, UMTS/HSPA and LTE. "Mobile networks can be unruly because traffic has no regard for other traffic — selfishly contending for as much resource and capacity as it can get," says Biren Sood, CEO of Vasona Networks. "Vasona Networks is working closely with mobile operators on establishing the SmartAIR platform to overcome bandwidth contention problems and enhance subscriber experiences." Samsung Ventures has made a strategic investment in Cloudant, a start-up offering a globally distributed database-as-a-service, which distributes application data across a global network of highly secure, high-performance data centers while providing non-stop data access with low-latency for its customers. Cloudant said its DBaaS managed service helps developers eliminate the delays, costs, and distractions inherent in working with databases while providing scalability, availability, and performance. The company is based in Boston. AT&T and the Communications Workers of America reached a new tentative labor agreement covering about 20,000 wireline employees in Arkansas, Kansas, Missouri, Oklahoma and Texas. The four-year deal includes general wage increases in each year of the contract -- 2.25 percent the first year, 2.5 percent the second year, 2.75 percent the third year, and 3 percent the fourth year. It includes a 1 percent pension band increase in each year of the contract for most employees, and an expansion to additional employees of a guaranteed job offer provision that promises qualified surplus employees a guaranteed job opportunity with AT&T. It maintains one of the most robust health care plans in the nation, with increases in employee contributions. AT&T said that if the new agreement is ratified on or before Feb. 27, 2013, a ratification bonus of $1,000 will be paid to each eligible employee. The agreement would be effective April 7, 2013 and expire April 8, 2017. Tekelec and Allot Communications have completed Interoperability Testing (IOT) on a 3GPP Sd Diameter Interface between their systems. The companies are the first to announce IOT over the new Sd Diameter Interface, which communicates between the Tekelec Policy Server (PCRF) and Allot’s Service Gateway Sigma E Traffic Detection Function (TDF) in order to enable detection and enforcement control over applications. Create application-based service tiers and one-time offers through better application identification and control. Extend policy intelligence and control to new traffic management functions. Enable single unified traffic management for converged networks. Simplify network architecture and operations by eliminating the need for a RADIUS interface between the TDF/DPI and the Gateway GPRS Support Node (GGSN). The Sd Diameter Interface allows operators to transfer some tasks the GGSN manages to the Policy Server, thereby removing the need for a separate connection between the TDF/DPI and GGSN. Enhance Quality of Service (QoS) for applications such as video streaming and voice over LTE, both expected to be the largest generators of diameter messages by 2016 according to Tekelec’s LTE Diameter Signaling Index forecast. Akamai Technologies reported Q4 2012 revenue of $378 million, a 9 percent increase over third quarter revenue of $345 million, and a 17 percent increase over fourth quarter 2011 revenue of $324 million. Total revenue for 2012 was $1,374 million, a 19 percent increase over 2011 revenue of $1,159 million. GAAP net income for Q4 was $68 million, or $0.38 per diluted share. "With strong revenue and profit performance in the fourth quarter, Akamai closed out 2012 with record results on both the top and bottom line," said Tom Leighton, CEO of Akamai. 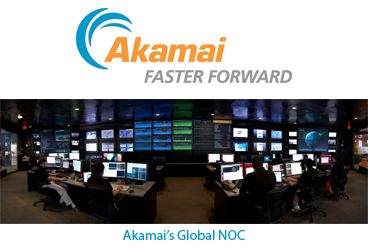 "Throughout the year, we announced new products across every solution line, closed a record number of strategic acquisitions, and achieved margin expansion through continued improvement in our network efficiency even as we expanded its capacity worldwide to meet rising demand for Akamai services. We believe these efforts have positioned us well to help our customers capitalize on the opportunities, and mitigate the challenges, of conducting business online." 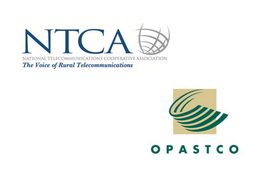 The National Telecommunications Cooperative Association (NTCA) and the Organization for the Promotion and Advancement of Small Telecommunications Companies (OPASTCO) agreed to merge. NCTA represents more than 580 locally owned and controlled telecommunications cooperatives and commercial companies throughout rural and small-town America. OPASTCO represents more than 372 small, independently owned, local telecommunications companies, serving primarily rural areas of the United States and Canada. As of March 1, the new organization will be known as NTCA, The Rural Broadband Association. "It is encouraging to see the rural telecom industry unify their organizations and policy initiatives," stated Robert M. McDowell, commissioner at the Federal Communications Commission. "This enables the industry to lead with one voice and focus their efforts. I look forward to working with the new organization." 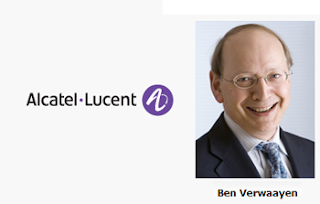 Ben Verwaayen will step down as CEO of Alcatel-Lucent and has decided not to seek re-election as a director of the firm. Verwaayen has serves as Alcatel-Lucent's CEO since September 2008, when he replaced Patricia Russo. Previously, Verwaayen was CEO of BT. A search committee has been formed to identify a successor. In a press release, Ben Verwaayen stated "Alcatel-Lucent has been an enormous part of my life. It was therefore a difficult decision to not seek a further term, but it was clear to me that now is an appropriate moment for the Board to seek fresh leadership to take the company forward." D-Link introduced a family of 10-Gigabit Ethernet Layer 2 and Layer 3 managed aggregation switches designed for enterprise, education, and data center networks. 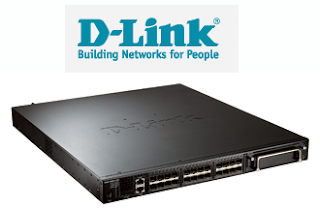 The D-Link DXS-3600-16S and DXS-3600-32S are compact switches offering eight and 24 fixed 10-gigabit Ethernet SFP+ ports respectively, with an optional expansion slot. Expansion modules provide extra 1000BASE-T ports, 10-Gigabit SFP+ ports, 40-Gigabit QSFP+ uplinks, or low cost 10GBASE-T interfaces for a wide range of applications. The DXS-3600 switches support Data Center Bridging protocols to help prevent data loss during network congestion, and feature selectable store-and-forward, or cut-through switching modes to reduce network latency. The switches also utilize two hot-swappable power modules for 1+1 power redundancy and load sharing, and three hot-swappable smart fans for redundancy. Piston Cloud Computing, a start-up based in San Francisco, raised $8 million in Series B funding for its enterprise OpenStack solutions. The company's flagship Piston Enterprise OpenStack is designed for building, scaling and managing a private Infrastructure-as-a-Service (IaaS) cloud on bare-metal, converged commodity hardware. Piston Cloud enables Cloud Foundry's Platform-as-a-Service (PaaS) offering to run on OpenStack. It also supports leading automation solutions, including Opscode, Puppet Labs and RightScale. The funding include the participation of Cisco Systems, Data Collective and Swisscom Ventures, joining Divergent Ventures, Hummer Winblad and True Ventures as principal investors.